Ranked twelfth on the order of precedence of U.S. service medals and ribbons, the Korean Service Medal was established on November 8, 1950 to award service within Korea or in support of the military efforts there between 27 June 1950 and 27 July 1954. 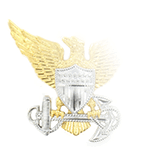 Potential awardees must have either been on permanent assignment, served in a temporary duty post for 30 consecutive or 60 cumulative days, or took part in combat while not meeting either of those stipulations (this required a combat decoration or a certification of combat activity from a commander). 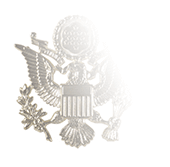 Recipients of the Korea Service Medal are authorized to wear a bronze service star for each designated campaign in which they participated, but such authorization is conditional upon fulfilling one of several requirements. 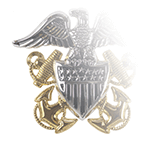 A person assigned or attached to a unit that participated in combat during a campaign, for example, is potentially eligible for a bronze service star for that campaign, provided they were present for duty when the campaign-qualifying combat took place. Those who were under orders in a combat zone and were awarded a combat decoration are automatically authorized to wear the service star for the campaign in which their actions took place; alternatively, a Commanding General can issue a certificate stating that the Soldier took part in combat during the campaign in question. 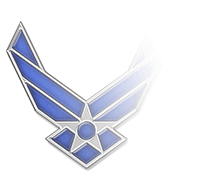 A complete list of service-star requirements is listed in AR-600-8-22 (Section 5-9c), including special instructions indicating that time spent as a prisoner-of-war or under enemy constraint will not count toward the 30/60 day service requirements. 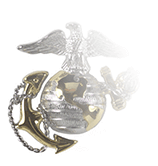 The arrowhead device has been authorized for wear on the Korean Service Medal denoting the recipient took part in an amphibious assault landing, combat glider landing, combat parachute jump, or helicopter assault landing. To qualify for the device, personnel must have been a member of an organized force carrying out a specifically assigned tactical mission.